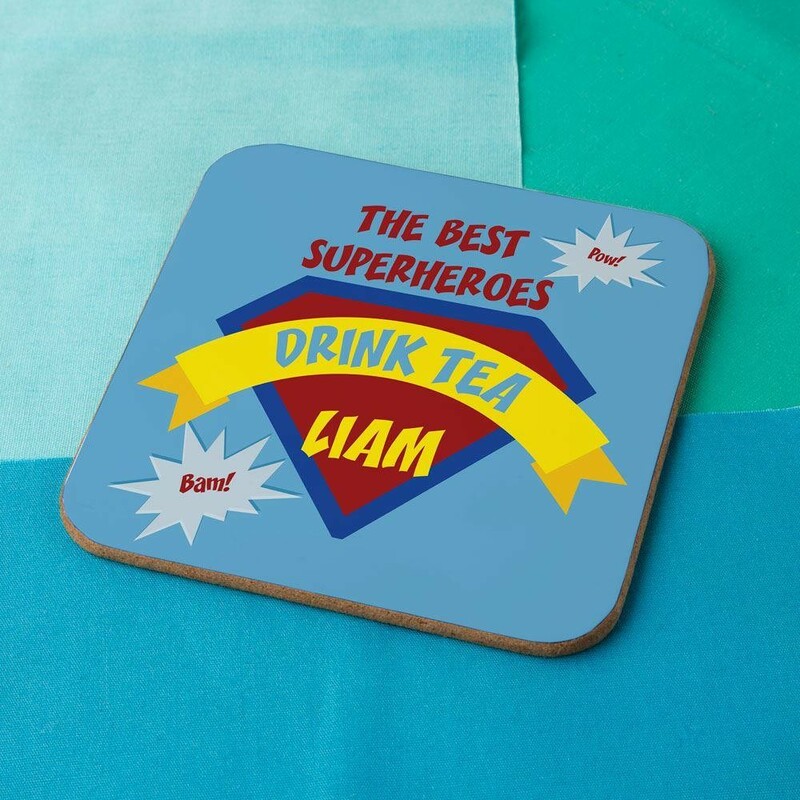 A fantastic gift idea with a difference for any super tea drinker! 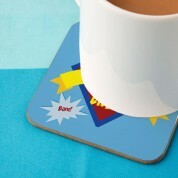 The comic book inspired design features a superhero badge in classic primary colours. 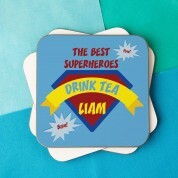 It reads “The best superheroes drink tea” followed by the recipient's name. The bright colours will stand out no matter where it is placed. We think it would make a great idea for a Dad on Fathers day, though it would suit any occasion!